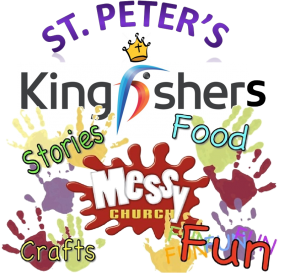 At St. Peter’s we welcome and support children and their families and, offering a variety of activities, provide a safe place where children of different ages can have fun and learn more about the Christian faith. We hold the Bristol Diocese ‘Safe and Sound’ Bronze award. This scheme recognises and celebrates churches that are welcoming and safe places for all members of our communities. (Find out more through this link: http://www.bristol.anglican.org/parish-resources/safeguarding/safe-and-welcome/#sthash.JpBeDQqg.dpuf). This group is for all children from birth to three years and their parents/carers. St Peter’s operates a crèche for age 0-3 every Sunday, except for the 1st in the month when we have all-age worship. 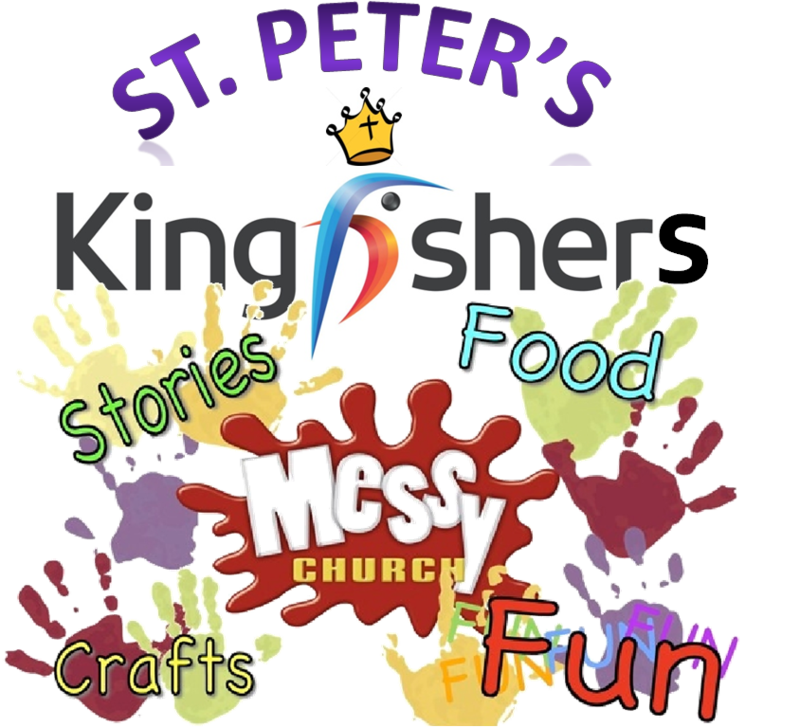 ‘Kingfishers’ is a Messy Church initiative at St Peter’s. Its aim is to do Church in a different way for families with young children through creativity, hospitality and celebration. Although it is mainly for children of primary school age, families with children of all ages will be included and welcome for fun, games, stories and songs, followed by a teatime meal. A small youth group, for school years 7-10, meets on Monday nights in St Peter’s Meeting Room. Pizza, conversation and games are available from 6-7pm .